"So what are you making for dinner? ": Let the Bread Baking Begin! There was a nip in the air today. I left the house this morning and went back for a sweater. You know what this means? Bread baking season has begun. In the past my baking was sporadic because of weekend commitments. 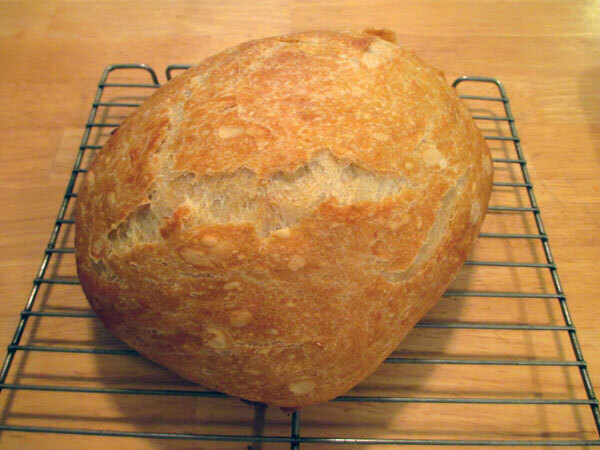 Well I have no more commitments so I plan on baking a lot of bread this year. I started a loaf of Whole Wheat 18 Hour Bread. Mixed ingredients Thursday night and baked it off last night. I brought it over to my sister's house today. 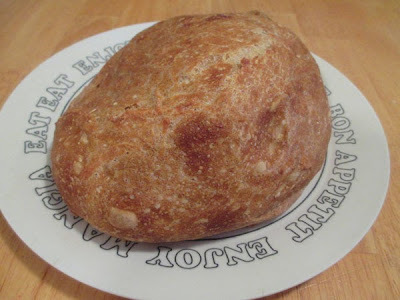 Last night I started the basic 18 hour bread and baked that today. It looks perfect! On to dinner... Roasted Cauliflower and Braised Beef with Wine Sauce. 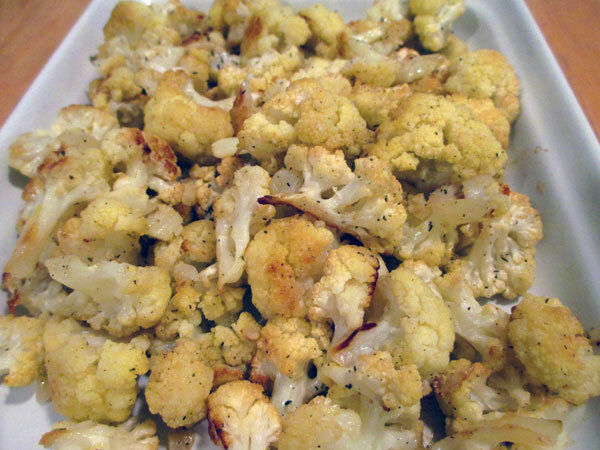 The Cauliflower was tossed with olive oil, salt, pepper, crushed red pepper, thyme and Cholula sauce. Baked for 45 minutes at 425 and stirring occasionally. I loved this. The Cholula added the perfect amount of heat to the dish. And finally the meat. 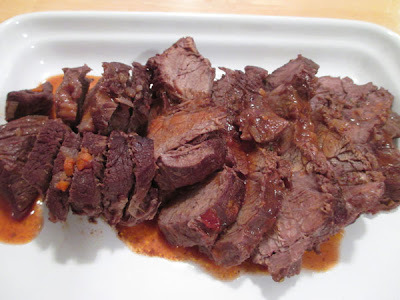 Braised Beef with Wine Sauce. The recipe was from Saveur. I do like putting meat in a pot and walking away for a couple of hours. The aroma was quite nice. The meat was tender and the sauce, well how could it be bad! Mince together bacon, garlic, sage, and rosemary. Make small incisions in the meat and fill them with the mixture, rub with salt and pepper, and tie the meat tightly with kitchen twine for braising. Heat the olive oil in a large saucepan or flameproof casserole dish, sauté the onions, celery, and carrots briefly, add the meat and the bay leaf, and sauté the meat quickly over high heat until golden brown. Pour in the wine and reduce for several minutes. Add tomatoes and basil, pour in the broth, cover, and braise over low heat for 2 hours, until the meat is tender. Remove meat from the pan or casserole dish and strain sauce through a sieve. Slice the meat, dress with sauce, and serve.